Founded in 1997, Rideau Vineyard has been producing highly-acclaimed, small-lot wines for two decades. Our thirteen acres of estate vines are comprised of five Rhône varietals—Syrah, Grenache, Mourvèdre, Viognier, and Roussanne—which are harvested by hand and bottled as highly-expressive blends and varietal wines. We also source from top vineyards in the region to produce additional Rhône and non-Rhône varietals such as Pinot Noir, Chardonnay, Sangiovese, and Malbec. 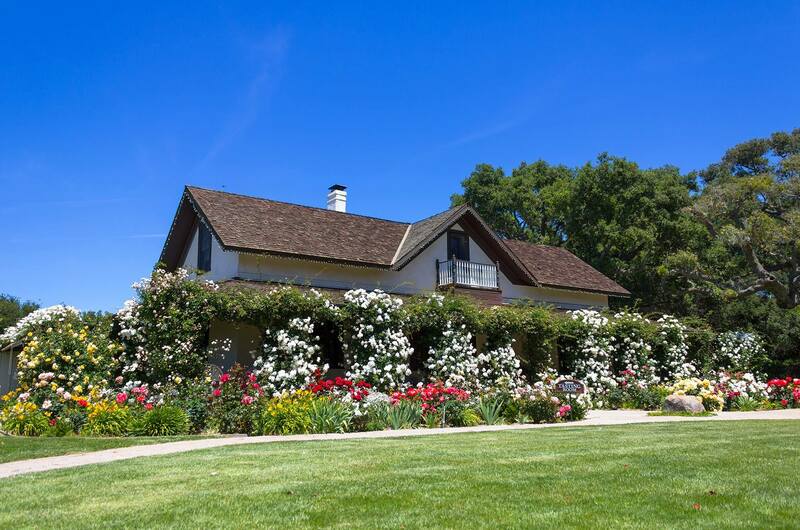 In addition to the unique setting of our historic adobe tasting room, the beautiful picnic grounds attract weekenders and locals alike to relax on the rolling green lawns in the shade of century-old oak trees. Our picturesque estate is available for weddings, private parties, dinners, and other events. At Rideau, we offer a complimentary tour with every tasting. Our experienced tour guide will take you out to our vineyard where you'll learn about how we grow our grapes, and into the winery where you'll learn the fundamentals of winemaking and what makes our process here at Rideau so special. On Saturday and Sunday, tours run three times at 12:30pm, 2:00pm, and 3:30pm, and two times during the week at 1:30pm and 3:00pm.